"The UNIVERSAL TRUTH" is that there is no such thing as "truth" or "Universal Truth" at all. Was there any such thing , there was no need for scholars to come up with theories like, The Neo-Classical theories of truth, The Correspondence theory, The Coherence theory , Pragmatist theories, Tarski's theory of truth ,The Redundancy theory , Minimalist theories etc. The most probable universal truth is one’s acceptance and agreement/ belief to the information attained/ perceived through all or one of the five senses. Generally accepted ideas in society are considered true also as people believe in them irrationally. Truth, is truth till one believes in that information. Fortunately or unfortunately the belief also changes with time. Hence, truth become lies with change of period because thoughts/ opinions change with circumstances and time. When one's opinion changes about a piece of information which he/ she believed in earlier, the truth becomes untrue for the same person. 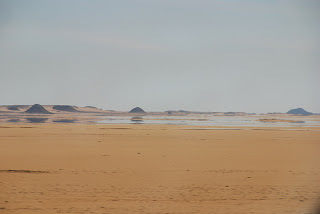 For example, "Mirage" in desserts is good example, where humans as well as animals believe as water when they reach at that point there is no water. Within short period truth becomes non- truth because the belief changed. "The word truth has a variety of meanings, from honesty, good faith, and sincerity in general, to agreement with fact or reality in particular. The term has no single definition about which a majority of professional philosophers and scholars agree, and various theories of truth continue to be debated. There are differing claims on such questions as what constitutes truth; what things are truth bearers capable of being true or false; how to define and identify truth; and whether truth is subjective, relative, objective, or absolute." - Wikipedia. Although, Truth is the most discussed word in philosophy, religion and history since time immemorial. Still it is one of the most misused and misunderstood word. That is why many theories were written over time about truth. So, the question that arises is "what is truth"? This is one of the questions with no one accurate answer. Everyone has his own truth which can become untrue with time. Truth is nothing but one's belief. If, one does not believe all the facts are false. Each one perceives every fact in a unique way. Even if two people while together receive information through the same source, each one’s interpretation would be different based on one’s knowledge, which again varies. 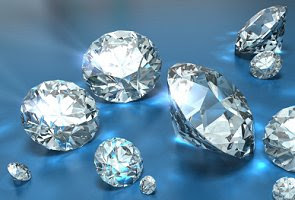 For example, a fake diamond is a real diamond till one knows about how to evaluate it. But once person has acquired knowledge to evaluate, that real diamond becomes fake. Thus, there is no truth unless it is believed in. Therefore the UNIVERSAL TRUTH is agreement/ acceptance/ belief of people about a piece of information. Though, I have titled this site UNIVERSAL TRUTH but truth always is indescribable, obscure, and elusive. "The problem of truth is in a way easy to state: what truths are, and what (if anything) makes them true". - Stanford encyclopedia of Philosophy. The authenticity of the "truth" is a big question to ask... who is going to do it? I agree with above. Truth is perception about information. Perception changes from hand to hand, perception can be good or bad same way truth can be good for some and bad for some. We should experience life fully in Truth and we will become Truth-full. Our destiny will be revealed to us through the Truth of our own soul. LET THE TRUTH TRANSFORM US. I do not disagree with you completely in your assertation about the existence or not of truth. While I will agree that there exist no real truth in the world, outside of the existence of one Creator Being, but only varying degrees of certainty. I came to this conclusion by accidently tapping what I have come to know as the universal source of knowledge which as you may know is assessible to all of us. In doing so I uncovered, for myself, many of these type understandings and continue to do so to this day. In anycase I welcome the debate and would like to offer you to check out my own website www.thetruthbooksite.com where I have sample chapters available and my book called THE TRUTH "The Illumination of Conscienc" for sale and invite your reply on my blogsite as well. My hope is that as a people we begin to understand more about this universal source and our connection to all else in the universe and our Creator so that we can begin to follow His advice and the way , the truth and the life as we were desinged by Him to do. If there exist no truth then by default the statement that there exist no truth is untruthful? Is it not? We can be certain to some degree of the merit of each and every truth.